Perhaps the most common blood tests taken at a doctor’s office is that for what are called “blood lipids” (lipid is another term for fat). These include total cholesterol, High- and Low-Density Lipoprotein (HDL and LDL, respectively, which are substances made up of both fat and protein), and triglycerides, the type of fat most commonly found in foods. So what do the numbers tell us? Classically, they’re a marker of heart health, but they also give us a peek into our overall diet – and how well our bodies are metabolizing it. In a very general sense, the higher our LDL and triglyceride levels are, the more likely it is that our bodies are working harder than they should be in order to digest and use nutrients. LDL has a high fat content. Think about it: before you shake salad dressing, the oil sits on top of everything else, right? That’s because fat has a very low density – it doesn’t weigh much. So if your LDL value is high, it means there's a lot of fat in your blood. Triglycerides follow a similar pattern: the number rises when our diet is high in both fat and glucose. You may also get your glucose tested. This value, combined with your lipid panel, will give you a high-level understanding of whether your current diet contains the right amount of fat and carbs for you and your lifestyle. As the most abundant protein in the blood, albumin is extremely important. It is responsible for transporting substances ranging from testosterone to calcium and delivering them to the correct location. So, if our albumin levels are too low, it can negatively impact our strength (impacted by hormones like testosterone) and our endurance (impacted by hormones like vitamin D and electrolytes like calcium). Levels that are too high, however, can also be problematic; when testosterone is bound to a protein, its activity level is less than it would be if it were free. So, if too much testosterone is bound, you might experience symptoms of low-T despite the fact that your overall testosterone levels are more or less normal. Your albumin levels can partly explain these symptoms. In addition to its duties mentioned above, calcium is a jack-of-all-trades. It’s probably best known for its role in bone density: the more calcium in your bones, the stronger they are. As an electrolyte, calcium also enters your muscles to transfer the electrical charges that cause your muscles to contract during any type of movement. The older you get, the more crucial your calcium levels become: your stores start to dwindle as early as your thirties, which can leave you vulnerable to bone fractures and muscle weakness. Getting your levels tested can help you stay on top of this. Like calcium, these other electrolytes are essential for sending signals throughout your body and nervous system. Sodium (Na) and potassium (K) classically have opposite effects in blood pressure: sodium increases it and potassium decreases it. So a high sodium to potassium ratio can leave you vulnerable to high blood pressure and the secondary issues that come with it, such as increased risk of heart attack and stroke. Sodium is extremely prevalent in processed foods, and potassium tends to hang out in whole foods. You’d be surprised – even someone who consciously watches their intake of boxed and canned foods can be consuming more than the recommended intake of sodium. Runners and other endurance athletes know that iron levels are essential for oxygen transport and, therefore, endurance. But you don’t have to be putting in the miles to feel the effects of low iron. In fact, poor oxygen transport can affect you even while you sit at your desk – if you feel tired and foggy all day, it could be because your brain is low on oxygen. The same is true if you’re feeling otherwise-inexplicable muscle weakness. If you show signs of low iron, your doctor will almost always order a Complete Blood Count, or CBC panel. Within this one panel lies values for over a dozen measurements, including ones based on red blood cells, the iron-containing component of blood. 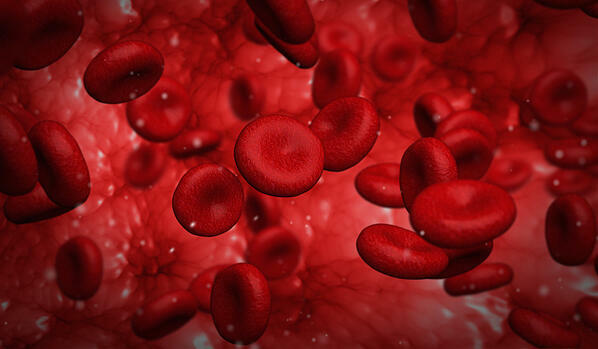 Therefore, CBC can tell you if there are enough red blood cells (RBCs) in your body to adequately carry oxygen around. But sometimes CBC doesn’t tell the whole story; your RBC count could be normal, but you still might have low iron. That’s because there’s a specific component of RBCs called hemoglobin where the iron lives. And in reality, your body can produce red blood cells without including hemoglobin, causing your CBC count to be misleading. That’s why a hemoglobin test can be an important complement. Your CBC panel will also include counts for white blood cells (WBCs), which have a very different role from red ones. White blood cells have a more complex job, as they make up a large portion of your immune system. They’re the cells that locate viruses, bacteria, or other invaders in your body and attack them. But because these bad actors often come with inflammation, your WBCs take a short cut and respond to inflammation of any kind to better defend your body. Therefore, your WBC count uses somewhat of a reverse method to measure inflammation of any kind, be it from an injury, stress, or illness. The liver is constantly metabolizing nutrients from our diet (like glucose) and neutralizing potentially toxic substances (like alcohol). Constantly. A little perspective of how hard your liver works: of all the calories your body burns by performing necessary functions (known as your basal metabolic rate, or BMR), the liver accounts for almost a fourth of them. So if it’s struggling to work at full capacity, it has widespread implications on our metabolism and overall health. ALT and AST are enzymes almost exclusively made in the liver, so if your their levels are high in your blood, it means that your liver has been damaged enough for them to escape. This damage can perpetuate if changes aren’t made. Getting these results from your doctor can be extremely informative, but it can be hard to know what to do with the results and how to take meaningful action based on them. *Cough cough* that's what we're here for. All of the above results can be uploaded to your InsideTracker account when you sign up for our Basic or Advanced DIY plans. The DIY option also automatically becomes available to you when you purchase any InsideTracker plan. A favorite recommendation of ours: supplement your physician-originated results with an Essentials package for a wide-angle view of your health at a reasonable price. Remember: you can’t get recommendations for what you don’t test! Find the balance of detail and convenience that works for you.